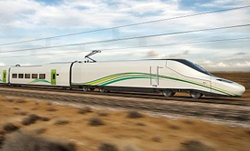 Haramain High Speed Rail Project, a 449.2 kilometers (279.1 mi) high speed inter-city Rail transport system, is under construction for the Kingdom of Saudi Arabia. The project is expected to link the Muslim holy cities of Medina and Mecca via King Abdullah Economic City, Rabigh, Jeddah, and King Abdulaziz International Airport. The railway system will connect a number of centers, boosting local businesses and tourism. Inventory Management of Spare Parts, Consumables, Tools etc. L&T Electrical & Automation FZE (LTEAFZE) an open architecture 'Systems Integrator' company based in U.A.E was to implement a sophisticated, yet simple to use and effective solution for Haramain's requirement. L&T FZE selected SIERRA's eFACiLiTY since eFACiLiTY is tightly integrated with Honeywell EBI and has already been implemented for similar projects including Mumbai Metro, KL Sentral etc. Once implemented, any electro-mechanical failures across the rail-network will be detected by the Building Automation System and instantly the breakdown maintenance work orders will be generated and assigned to the technicians who will receive SMS/Email alerts enabling them to attend to the problems quickly. In case the technical doesn't acknowledge/respond, the Service Level Agreement (SLA) management kicks-in to raise multi-level escalations ensuring that the maintenance issues are fixed quickly for smooth functioning of the Railway Network.